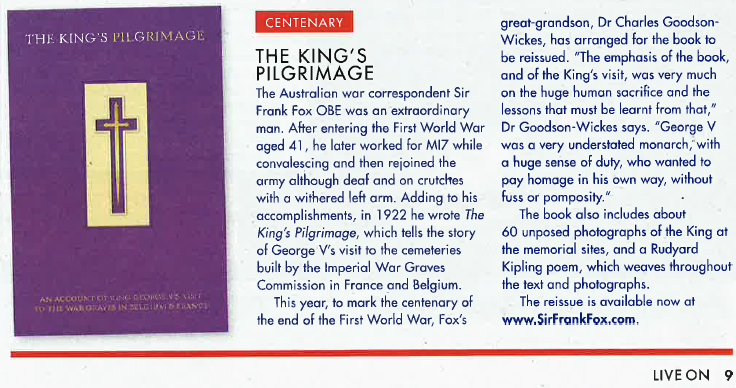 THE KING’S PILGRIMAGE, especially republished to mark the Centenary of the 1918 Armistice, is the moving account by the war correspondent Sir Frank Fox, of King George V’s humble journey to the cemeteries of Belgium & France to pay his respects to the Fallen of the First World War. Sir Frank Fox was an Australian-born journalist, soldier, author and campaigner who had lived in Britain since 1909. Prior to The Great War he was a war correspondent for the Morning Star, covering the Balkan Wars, and then in August 1914 was in Belgium where he witnessed the German invasion and the atrocities inflicted upon a soon all but defeated nation, vividly described in his book The Agony of Belgium. Commissioned into the British Army at the age of 41, he was badly injured at the Battle of the Somme, and later served on Haig’s staff at GHQ, the subject of another book in which he described the staff officer’s life as far from an easy one. King George V had visited the Western Front during the war, he had seen the conditions that the soldiers endured, and had read letters from the trenches, not least those from his own son, The Prince of Wales, who was to experience the sharp end to profound effect. When the war was over, The King expressed a wish to return, ‘with no trappings of state nor pomp or ceremony…..’ on his own private pilgrimage. 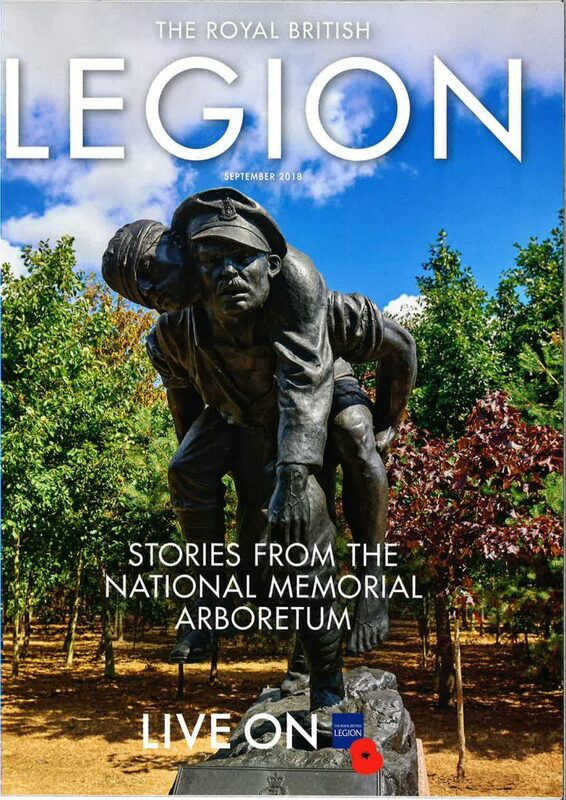 The visit took place in May 1922, at a time when the cemeteries and memorials were still being built and the landscape looked raw and ragged from four years of death and destruction. By the time his journey along the Western Front had ended, there can be no doubt that he was deeply moved by the experience. Standing in a cemetery close to Boulogne he told the assembled company that ‘Never before in history have a people thus dedicated and maintained individual memorials to their fallen..,’ and he was right. One of the many achievements of this perhaps understated monarch was, for the first time, to find a way of engaging an entire nation, and an empire, in the ongoing act of remembrance. Frank Fox was a reporter and journalist, and his account of this quiet and dignified visit by The King is written without embellishment, save for the words of Rudyard Kipling, whose poem The King’s Pilgrimage is printed in the opening pages of this slim and enlightening book. And cast their own away.